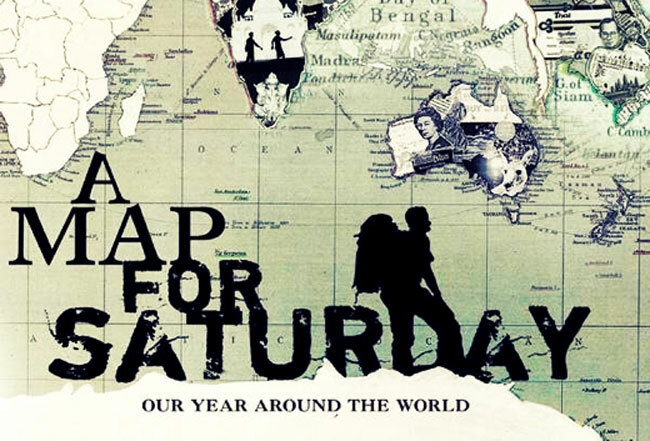 A Map for Saturday is a documentary film written and directed by Brook Silva-Braga when he wandered around the world and met several travelers like him. For nine months of nomadic life in 2005, he visited 26 countries on four continents. Along the road, his experience together with other backpackers was recorded as they unfold their stories of long-term solo travel. What I realized—not just about myself but about the world—is that time and money are commodities with an inverse relationship; to get one you need to spend the other. And I realized, for me, time is a more valuable commodity than money, so I’d rather hoard free time than extra money. Most travelers end up feeling the same way and its one reason why they find the return home so difficult, our society is built on the premise we should want more money so we can have more things, even if we don’t really have the free time to use those things. Brook decided to pursue his unusual but inspiring ambition. He talked to his family, friends and colleagues about it, explained as much as he could for them to understand it. Of course most of them were shocked with his decision. Some thought he was insane to leave or places outside their country were dangerous. But some gave him a big “awesome”. Three months before departure, he prepared himself and the people around him for the inevitable journey. This film focused on the backpackers, their experiences from place to place and the reason why they traveled. Backpacker, a term used for a person who travels frugally, choosing affordable hostels rather than luxury hotels, preferably cooks his own food rather than eating out, and fits every important thing he has in his backpack. To the backpackers, it felt like everyday was Saturday for them; no commitment to do anything serious, they just enjoy their time and relax while they were still young. They usually meet a lot of people and get used to saying hellos and goodbyes. Have short-term relationships like come what may. Go here and there. Swim in the water, fly via airplane, feel the wind and appreciate beauty of nature. Traveling gave them freedom to do what they want. To discover oneself, reflect on what was his/her limitations and aspirations. To realize the meaning of life, what else to do and where else to go. I watched this film twice! It was incredible! As if I was also traveling with them and felt what it was like to travel alone. It was scary and exciting, risky and adventurous. It gave me the idea of how traveling around the world would give me happy and sad moments, seeing the second to none scenery and meeting new people, if ever one day I decided to set off and explore the world. Overall, I want to recommend this movie to anyone who, like me, dreams to see the world. Even those who haven’t thought about it yet, this documentary might change your view about traveling and life in general. This entry was posted in Random Million, Space Travel and tagged movie, movie review, review, travel, world. Bookmark the permalink.